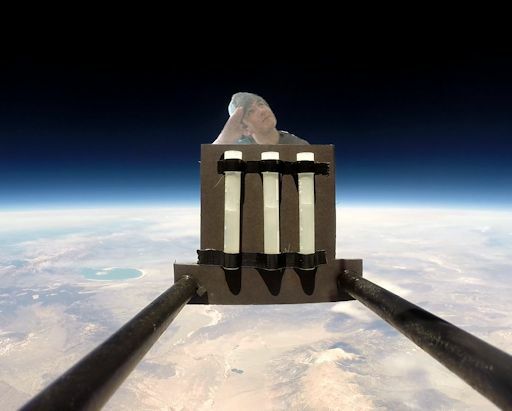 The student in the picture is Joey, a high school senior, hitching a ride to the stratosphere along with the yeast. Joey and other members of the student research team are busy measuring growth curves and mutation rates for the space-traveling yeast. One result is already clear: Yeast are incredibly tough. En route to the stratosphere they were frozen solid at temperatures as low as -63C, and they experienced dose rates of ionizing radiation 100x Earth normal. Survival rates in some of the returning samples were close to 100%. 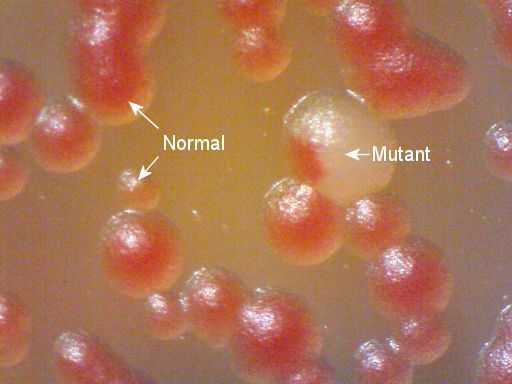 In addition to the white mutation shown above, the students have also observed petite mutants, which are a sign of changes in the cells’ mitochondrial genome. These changes are of interest to space biologists because the DNA repair mechanisms of yeast are remarkably similar to those of human beings. In particular, proteins encoded by yeast RAD genes are closely related to proteins used by human cells to undo radiation damage.